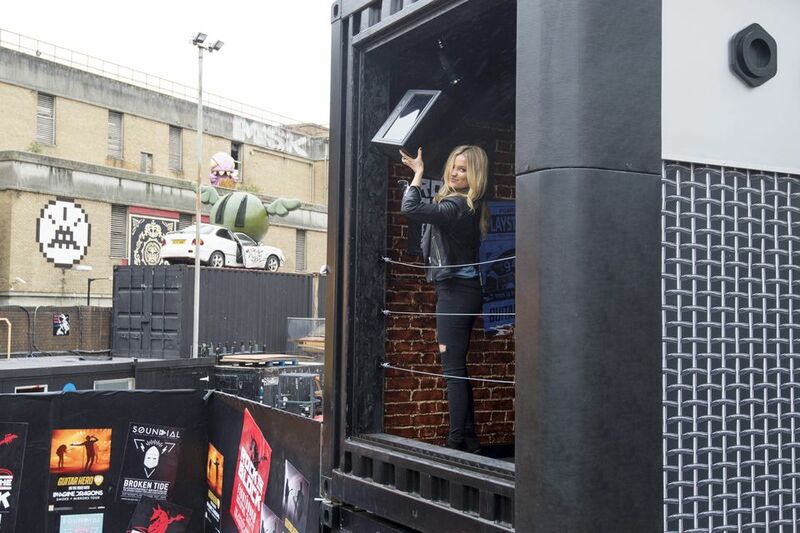 To celebrate the launch of Guitar Hero Live, a host of celebs including TV presenter Laura Whitmore and Danny Jones from McFly headed down to London’s Truman Brewery for a chance to live out their rockstar fantasies. 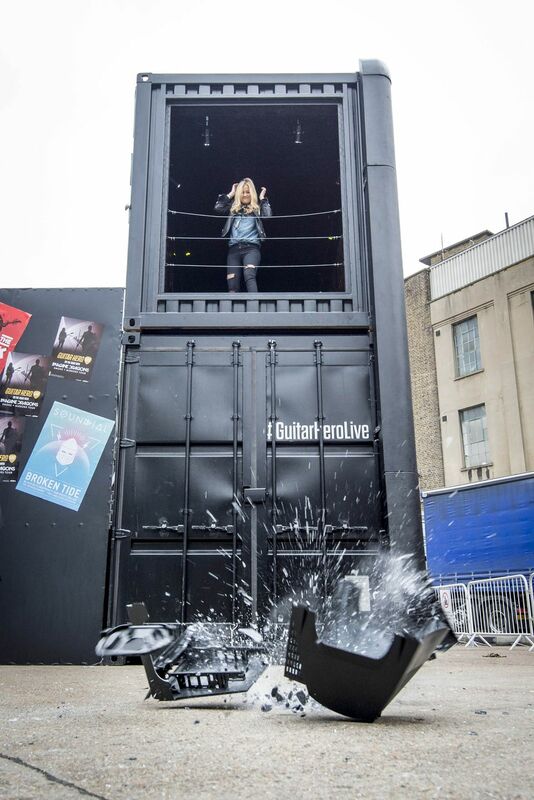 The Guitar Hero Live launch saw Laura Whitmore create an image inspired by iconic rock and roll behaviour as she hurled a TV out of a first-floor window. 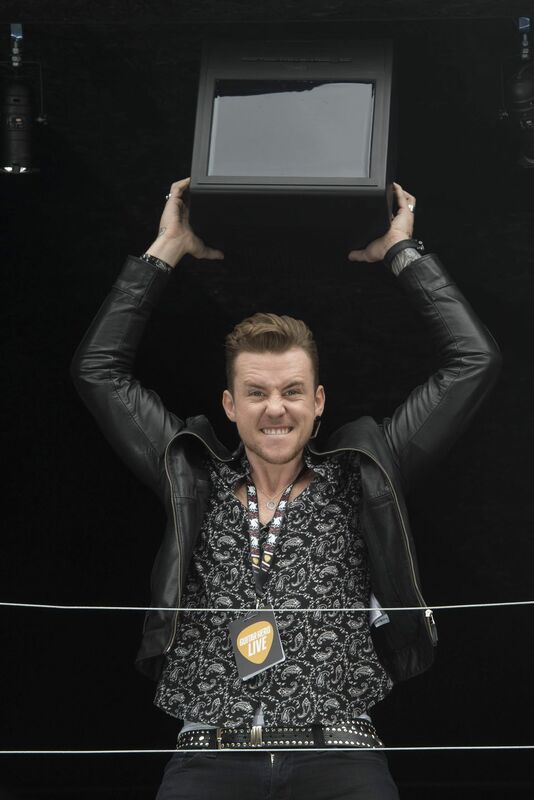 Whitmore, who’ll also be attending this year’s MTV EMAs in Milan this weekend, was joined by fellow celebrity Guitar Hero fan Danny Jones, who also had a go at creating his own rockstar moment before getting to grips with one of the year’s most anticipated games. 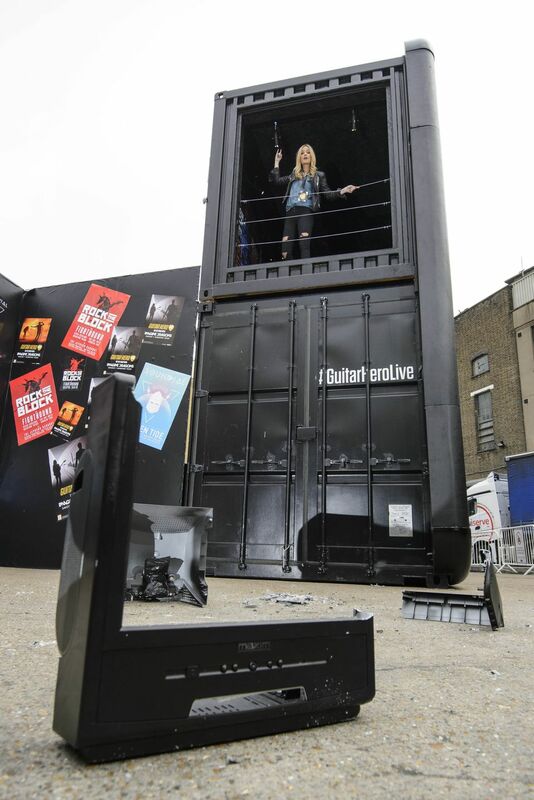 Guitar Hero Live, the first entry in the franchise for five years, has taken over the iconic east London space with a giant Guitar Hero Live amp now dominating the area. Open all day today (Oct. 23rd), members of the public will be able to get hands-on with the game. 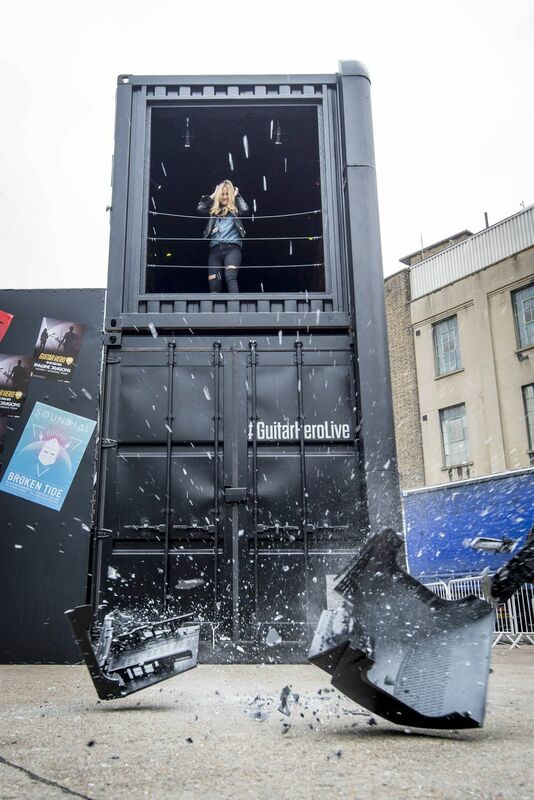 Guitar Hero Live introduces a radically improved guitar controller, hundreds of songs and two brand new ways to play: GH Live, a first-person point of view where you play in front of a real crowd that reacts to how you perform, and GHTV, the world’s first playable music video network. 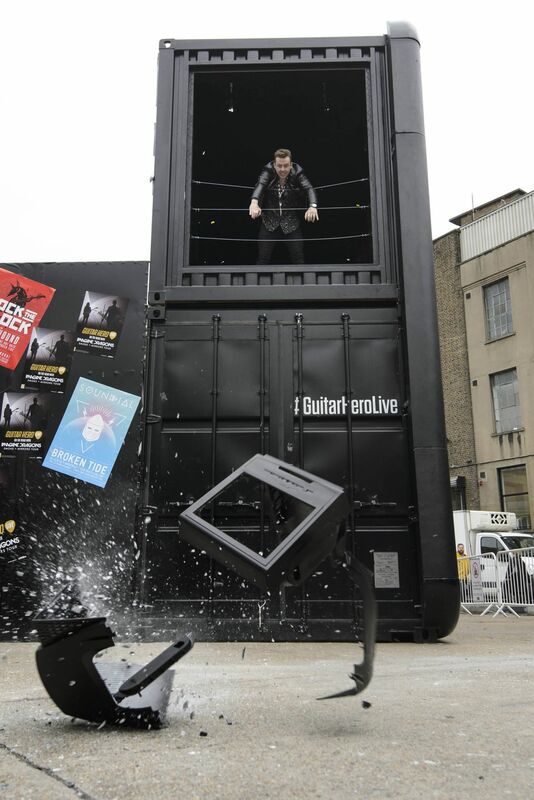 Guitar Hero Live will introduce a new generation of gamers to a series that has been enjoyed by over 40 million players. 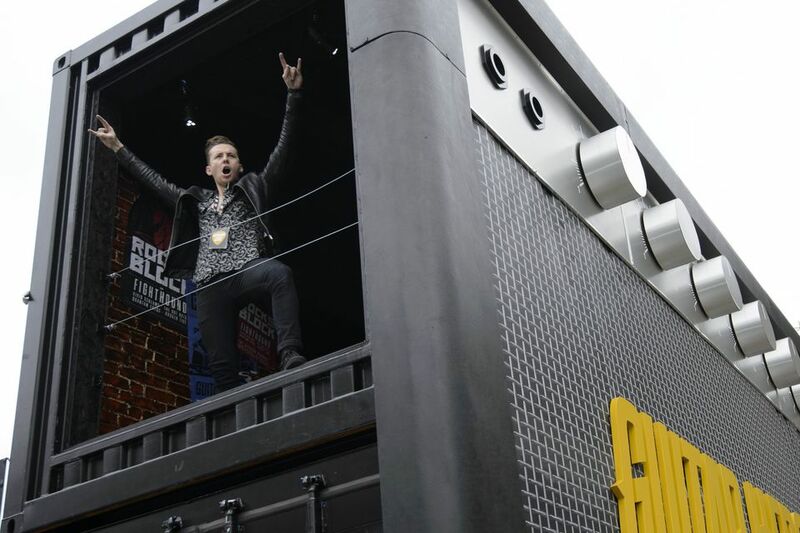 Guitar Hero Live is available from today (Oct. 23rd) in Europe on PlayStation 4, PlayStation 3, Xbox One, Xbox 360 and Wii U as well as iPhone, iPad and iPod touch. It will also be coming to the new Apple TV later this year. We’ve been playing the game this week and can confirm it’s fantastic fun, look out for our review this weekend. 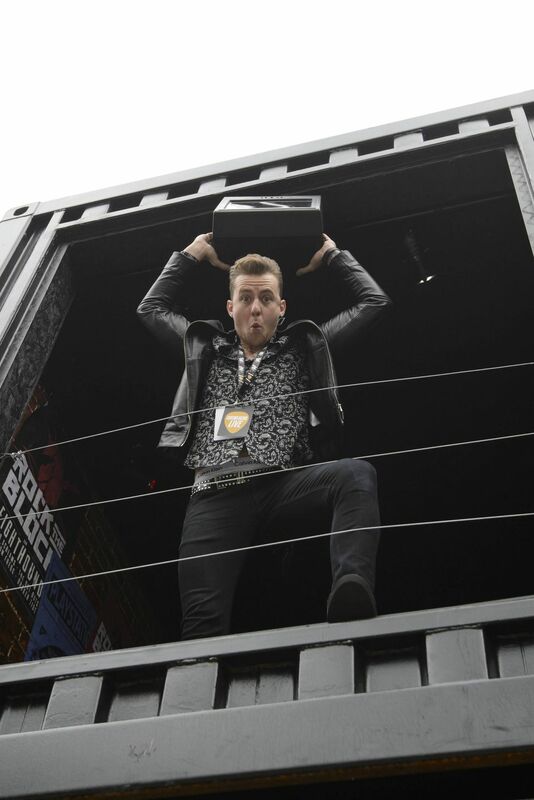 Check out the official Guitar Hero website for more information.